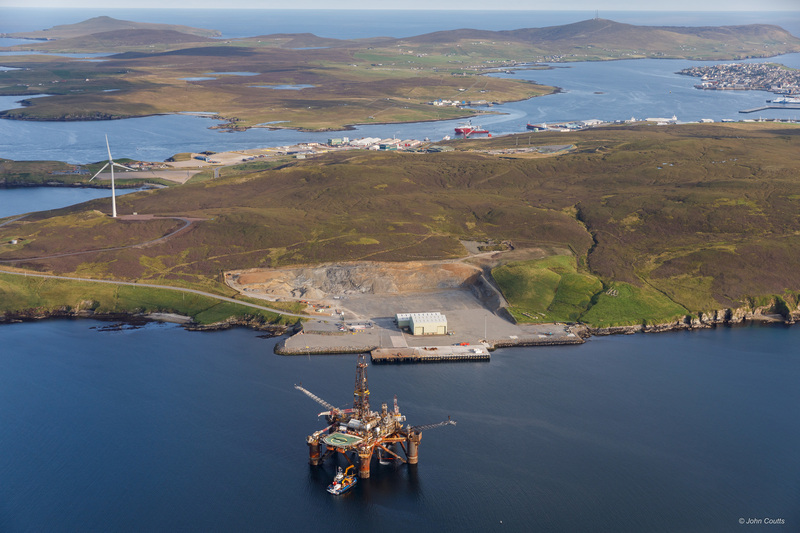 The Buchan Alpha platform being taken to Lerwick for decommissioning. The chairman of Lerwick Port Authority (LPA) has hailed the growing contribution of cruise ship visits as the organisation released its annual review, showing a steep drop in profits and a decline in turnover last year. Ronnie Gair, who took up his post at Shetland’s main harbour a year ago, said it was in a “fortunate position” of having a diverse customer base, highlighting a strong performance in liner business and the leisure sector. Figures for the year to the end of last December show the trust port’s pre-tax profits fell from about £3million in 2016 to £772,000 last year, while turnover declined from £11.1million to £10.5million over the same period. The annual review describes last year’s operating profit before fair value judgements of £1.9million, as “still healthy, despite being down on the previous year,” when the figure was around £3.9million. It notes that as well as reduced turnover, 2017 profits were hit by significant repairs to harbour infrastructure and an increased depreciation charge connected to two large capital projects completed during the previous year. Revenue from the cruise sector last year was up 3% on 2016 and accounted for more than 5% of the port’s total turnover. The LPA said that, while there was a continuing slowdown in oil and gas related activity, income from fishing remained steady and there was a slight increase in earnings from lifeline ferry services. Recent developments totalling around £30million reached their first full year in operation during 2017, including the new Mair’s Pier and the extended deep-water Dales Voe quay. Mr Gair reaffirmed the port’s ambitions to continue improving its facilities to attract further decommissioning work, including a “strong desire” to develop an ultra-deep water quay at Dales Voe.